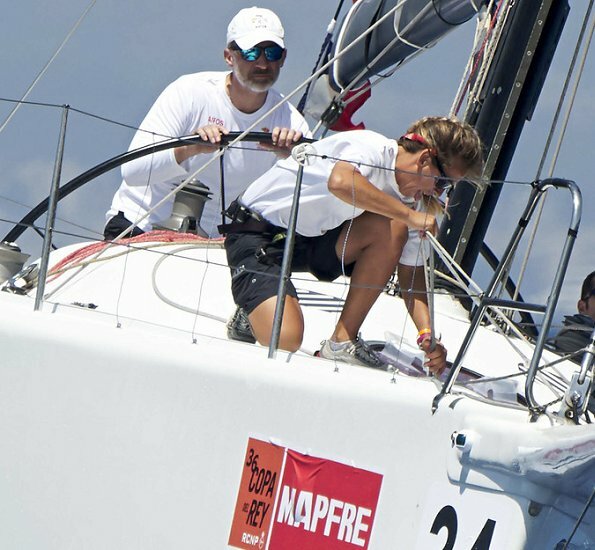 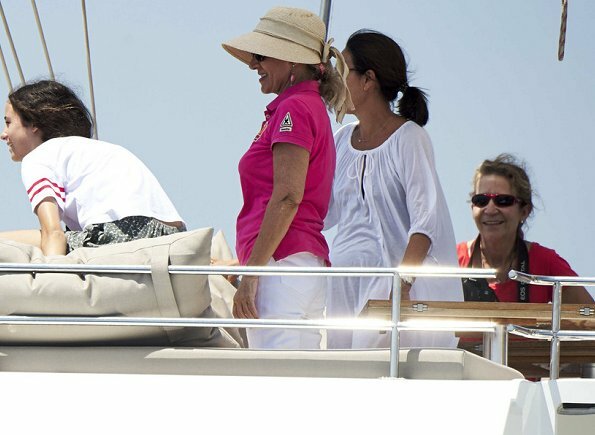 Queen Sofia, Infanta Elena and Victoria Federica de Marichalar on board of the 'Somni' boat congratulates King Felipe VI of Spain as the winner of the Day 5, during the 36th Copa Del Rey Mapfre Sailing Cup in Palma de Mallorca. 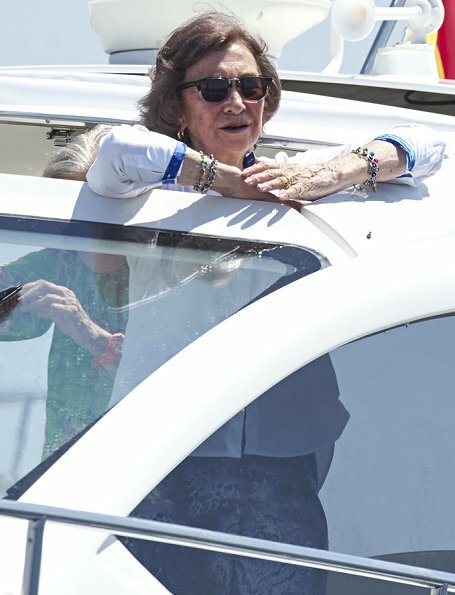 I'm so glad to see Queen Sofia taking part in what her children are doing. 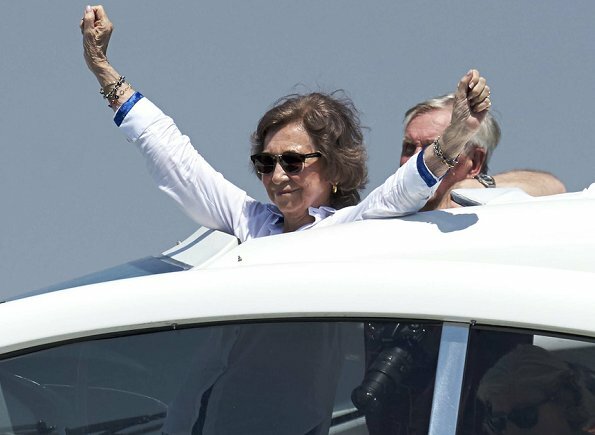 As another grandmother I appreciate how special that is.